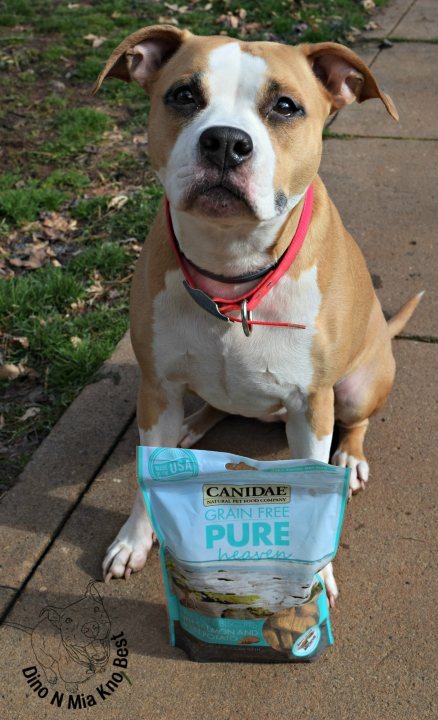 Canidae also has dry, wet, and other treats for your dog plus cat food. 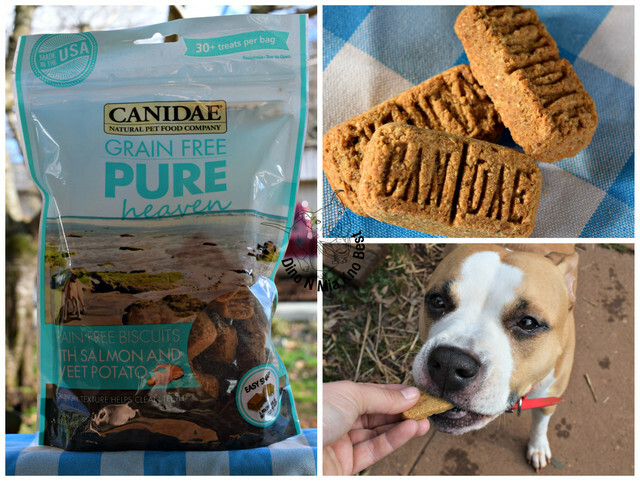 We picked Canidae Grain-Free Pure Heaven Salmon & Sweet Potato to review this month. Made with ingredients your can recognize. Salmon as the first ingredient, plus only protein source. Grain-Free, Great for food allergies. Great for all sizes, because you can snap them in half for smaller dogs. Ingredients: Salmon, Potato, Pea Flour, Sweet Potato, Cane Molasses, Chicken Fat (Preserved With Mixed Tocopherols And Citric Acid), Salt, Natural Flavor, Rosemary Extract, Cinnamon, Olive Oil, Quinoa.